So today was the last day of London fashion week. 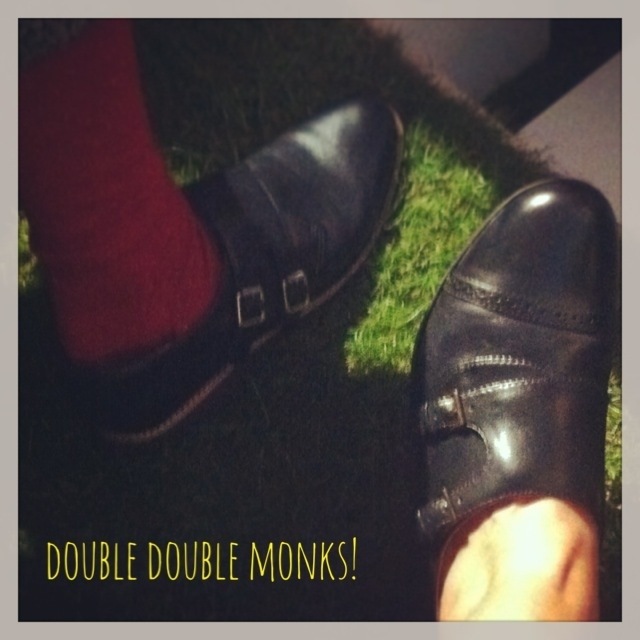 I wore my new Clarks Hamble Park double monks and can confirm that after a day of rushing around they are REALLY comfortable. I paired them with my Paul Smith coat (it was very chilly today! 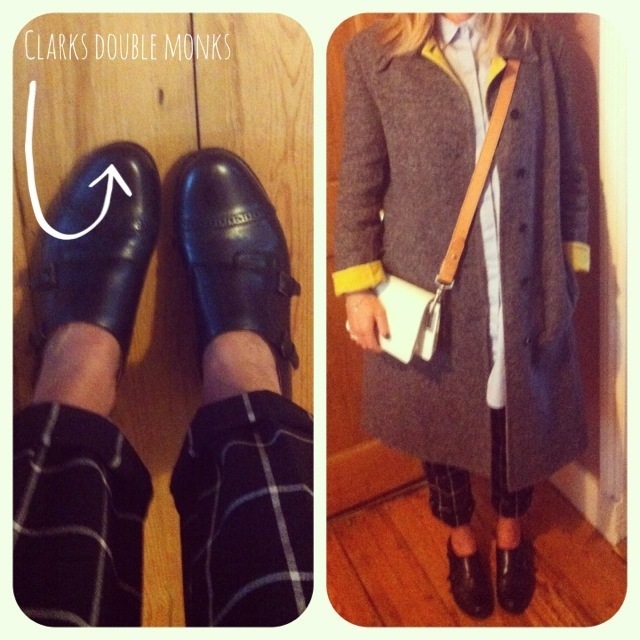 ), MiH oversized shirt, Next trousers and & Other Stories bag. I also found a twin sitting next to me at Fashion East! 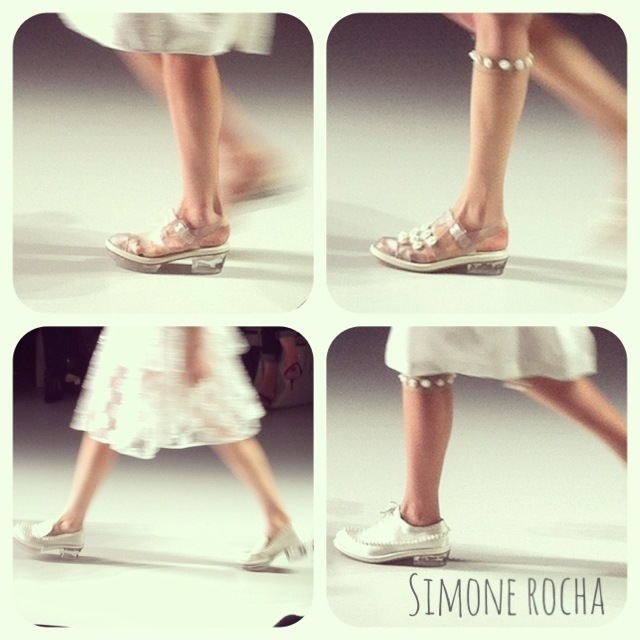 I knew I could rely on Simone Rocha for some great flats (and almost flats) on the catwalk. And it seems customised sneakers teamed with fancy frocks are going to be a thing for SS14 (remember Giles’ adidas last night? 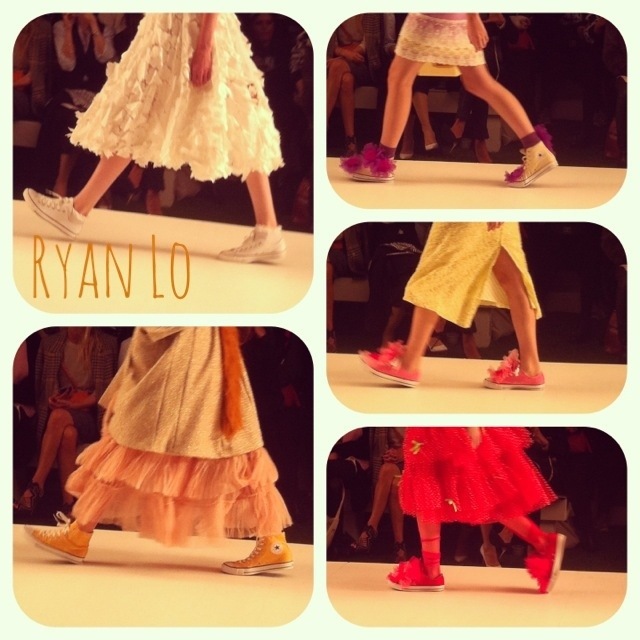 ); Ryan Lo at Fashion East opted for Converse instead. So until February, I bid you farewell London fashion week!